SouthWest Wildlife Habitats, based in Yallingup, Western Australia, is committed to the revegetation of our environment with indigenous vegetation found locally. It is our goal to rehabilitate areas of land affected by land clearing which has degraded the natural balance that once existed. Where possible, we will revegetate using seedlings grown with seed collected from remnant species to retain local provenance genetics. Our vision is to re-create natural ecosystems & habitat corridors for wildlife, in the most effective way, to allow the migration of native, rare & endangered fauna and restore natural systems, improve water quality and soil health. 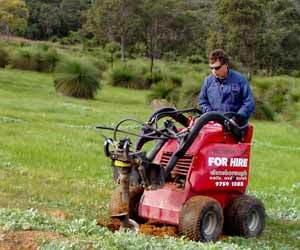 From Bunbury to Albany, we are dedicated to implementing practical environmental procedures and can co-ordinate and perform revegetation projects based on your needs and requirements. SouthWest Wildlife Habitats is our business, the environment is our passion, recreating it is our vision. We hope it is yours.